Is Italian Food the Next Frontier of Fast-Casual Eating? Pity Sbarro. The Brooklyn-born chain has been operating for more than half a century, but its days as a food-court mainstay might be numbered. All across the country, even as the market becomes more saturated, restaurateurs and titans of industry are gunning to create the next fast-casual behemoth — and lately, it seems lots of them have their sights set on Italian food. Specifically, “Italian food” that is all-but-guaranteed to appeal to as many Americans as possible: pasta and pizza. Outside of New York, there’s Porano Pasta in St. Louis, Grassa in Portland, and Barzotto in San Francisco. And in Santa Monica, Sugarfish co-founder Lele Massimini opened Uovo, hoping to do for sauced pasta what he helped do for affordable omakase. The biggest problem is that, like sushi, great pasta requires high-quality ingredients and skilled cooks to prepare well. The best kitchens readily turn out just-firm noodles, covered in a sauce that clings and amplifies without overwhelming the pasta itself. These restaurateurs all need to do for pasta what Sugarfish did for sushi: crack the code of making superlative spaghetti in a fast-food environment. 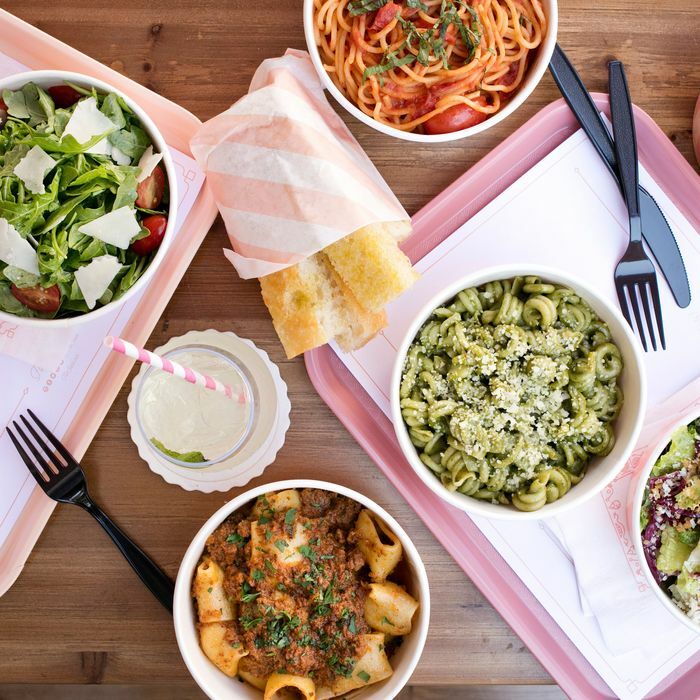 “On the pasta side, there’s always been the stumbling block of speed versus quality, with neither proving satisfactory (as yet) in a fast-casual format.” says Michael Whiteman, of restaurant consulting company Baum + Whiteman. He points to Tony May, who once opened such a restaurant (PastaBreak) at the heavily trafficked intersection of West 42nd Street and Broadway. “He couldn’t make a go out of it. Maybe Ladner has a breakthrough system.” Whiteman adds that would-be fast-casual Italian operators also face the added obstacle of increased expectations. “This may not be a convincing proposition for customers who’ve become accustomed to seeing the likes of Chipotle or Sweetgreen actually build a meal right in front of them,” he says. For Ladner, it starts with rethinking how pasta gets cooked. His solution involves parboiling the noodles, then freezing them, so that they can be reheated to order in ten seconds. Pizza, of course, is a $30-billion-a-year industry in America. Companies have spent millions figuring out how to make, and deliver, pizza as quickly and cheaply as possible. Domino’s has built a particularly successful mobile ordering app. The industry is dominated by a few major players, but they’re all on the lower end of the quality spectrum. Blaze, which launched in 2012, is arguably the most successful of these companies, with 214 locations and growing nationwide. 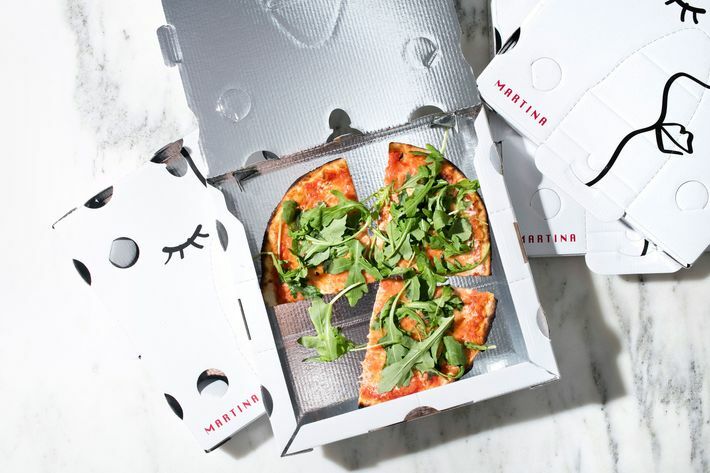 It’s built for speed — pizzas bake in just three minutes — and even though the menu includes all of the gently aspirational ingredients you’d expect from an Italian restaurant in 2017 (kale, applewood-smoked bacon, “pesto drizzle,” “wild baby arugula”), they also offer signature pies, like the Meat Eater — pepperoni and crumbled meatballs — that are clearly designed to mimic the mass-America appeal of Pizza Hut’s offerings. In many ways, they have. In other ways, all of these projects all bear some striking similarities: pared-down menus that simplify operations; Spartan environments that gently encourage diners not to linger too long; and carb-heavy, affordable Italianate food that will draw in young, urbane customers while playing it safe enough to ensure that nobody feels too alienated. That is to say: These places are very appealing. They’re the kind of cheap, quick restaurant anyone might want to see sprout in their neighborhood. Now, the question is: Which one will get to that neighborhood first?